Welcome to November, National Diabetes Awareness Month. I recently read a forum on Tudiabetes.com where someone posed a question that every Diabetic thinks about (including this one :-)) frequently, "What would you do if you could have one day without Diabetes?" While there are several obvious answers (eat a crap-load of candy comes to mind), there are some not-so-obvious answers. Sometimes its just nice to think about how it could be, how it might be someday, how it used to be almost 11 years ago now. But sometimes you have to embrace who you are, what you've become and all your strengths and weaknesses. You have to love yourself even when its hard. And be yourself no matter what. You have to take one day at a time and cherish each pleasant moment because there may come a day when you wish all you had was Diabetes. 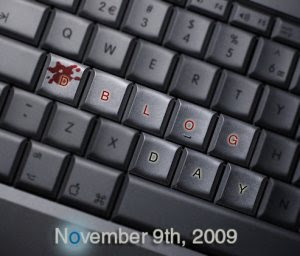 Happy Diabetes Blog Day Everyone!